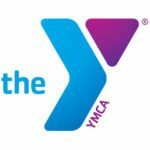 The Helen G. Nassif YMCA is seeking 2-3 Assistant Swim Coaches to work with our growing swim team program! Previous competitive experience is necessary as well as the desire to work with children of all ages and abilities. Lead structured practices in weekday evenings in the summer, fall and winter seasons. Practices are held 6 days a week, and the schedule will be dependent on our need and the candidate’s availability. Pay will be commensurate with experience. Apply online and include at least 2 professional references.